Recent events show that India’s much-hyped Aam Aadmi Party is losing its steam. If you live by fire, you also die by fire. This is very much true in the case of India’s Aam Aadmi Party (AAP, or the “Common Man’s Party”), an organization that was born out of the crucible of the country’s anti-corruption movement. The top goal of the party right from day one has been to contain corruption in Indian society and pave the way for a clean form of politics and governance. It is this promise that gave the party an historic mandate in the Delhi elections in February 2015, when they swept the polls winning 67 out of 70 seats, a mandate unlike any before. This is not a sudden development. The issue came to light a few weeks ago when an investigation revealed that the minister forged documents and became a part of the Bar Council of India through the use of a fake law certificate. 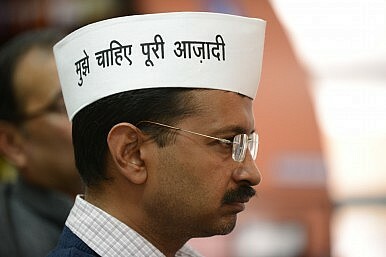 Kejriwal, one of the prominent faces of anti corruption movement, refused to take action against his minister. When presented with an opportunity to correct misconduct within his government, the anti-corruption crusader failed to act. In his hey day, Kejriwal would level all kinds of charges against the ministers of the United Progressive Alliance (UPA) government and ask them to resign. In today’s changed political context, Kejriwal has become a member of the establishment and he has forgotten the sermons he used to preach. The AAP is trying to give the issue a political color and blaming the BJP government at the center for playing vendetta politics. It says that Tomar’s arrest is not valid and the court will decide whether the certificate is genuine or not. This does not serve the organization well. Even the university where Tomar supposedly acquired his degree confirmed that the degree was fake, dealing a blow to the AAP’s credibility. Additionally, the AAP has been at loggerheads with the center over the jurisdiction and rights of the Delhi government. Confrontation with the central government has become a day-to-day ordeal and governance has suffered as a result. The AAP’s foray into electoral politics led to some compromises. Despite proclaiming to be transparent in its selection of candidates for the last Delhi elections, quite a few of them have been selected on considerations other than merit. The party gave tickets to the people who have a dubious past with suspect sources of income. The party also resorted to unscrupulous means to generate funds. This compromise brought about a schism in the party with some of the AAP’s ideologues like Yogendra Yadav, Prashant Bhushan, and Anand Kumar questioning the intent of the leadership. This open questioning led to the expulsion of these founding members immediately after the victory in the Delhi elections. Now the people of Delhi are questioning Kejriwal’s on the Tomar issue. The very fact that the Kejriwal defended his minister by putting aside the issue of probity in public life, has affected the image of the chief minister. It has diminished the credibility of the AAP in popular perceptions. The AAP was a novel experiment in Indian politics. It was supposed to move away from the vices that afflict other mainstream political parties. However, the party is floundering and proving to be a great disappointment. Ever since it has come to power, it has been engaged in a battle of one-upmanship with the center, thereby negatively affecting the governance of the city state. No doubt the ruling BJP is also not acting with maturity while handling Delhi’s sensitive local politics. As a result, the Delhi government is virtually at a standstill. The rookie party, despite getting a landslide mandate, looks edgy and uncertain in its first year in charge. With each passing day, the AAP is losing its steam. On Thursday morning, a local court in Delhi rejected the bail plea of the arrested minister, thereby paving the way for a long interrogation of the AAP legislator by local police. The AAP was supposed to be a welcome intervention amid India’s dirty politics, but the party is proving to be a big embarrassment for its supporters, both inside and outside the country. The AAP has lost its steam.